You can help ensure that the 300 Holocaust survivors living in Orange County today receive the care and support they deserve by making a donation today to the Jewish Federation & Family Services (JFFS) "Aging with Dignity" Campaign. This campaign raises funds to support our Orange County Holocaust survivors with financial assistance, care/case management, and life-enriching social opportunities, so they can age with dignity. 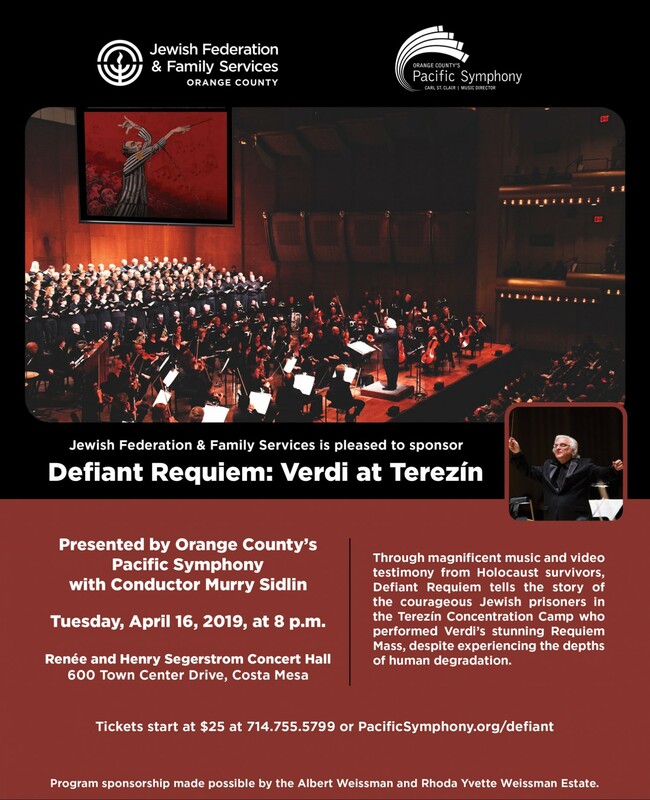 And please consider attending the important performance JFFS is sponsoring, Defiant Requiem: Verdi at Terezin with the Pacific Symphony, on April 16, 2019. Learn more below or purchase your tickets from Pacific Symphony here. Want to do a mitzvah? 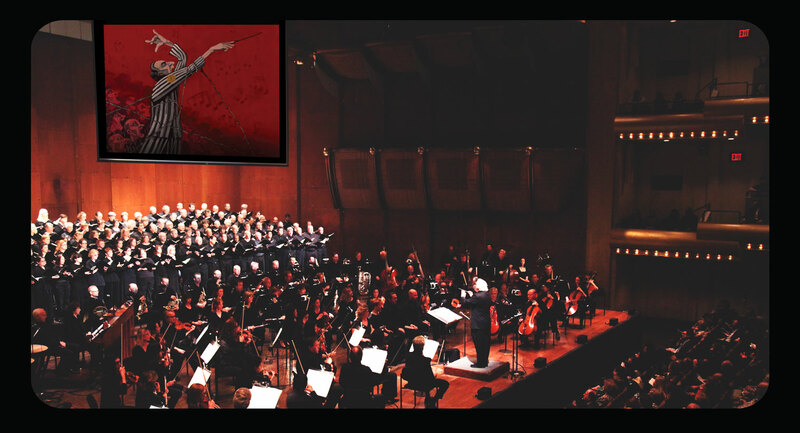 You can give a Holocaust survivor and his/her companion the opportunity to attend Defiant Requiem. Please consider underwriting the cost of two tickets. Make your donation here. Please use the form below to donate to the "Aging with Dignity" Campaign and help meet the needs of Orange County Holocaust survivors as they age.